This is just about the easiest project you can make. I think it took me all of 15 minutes! 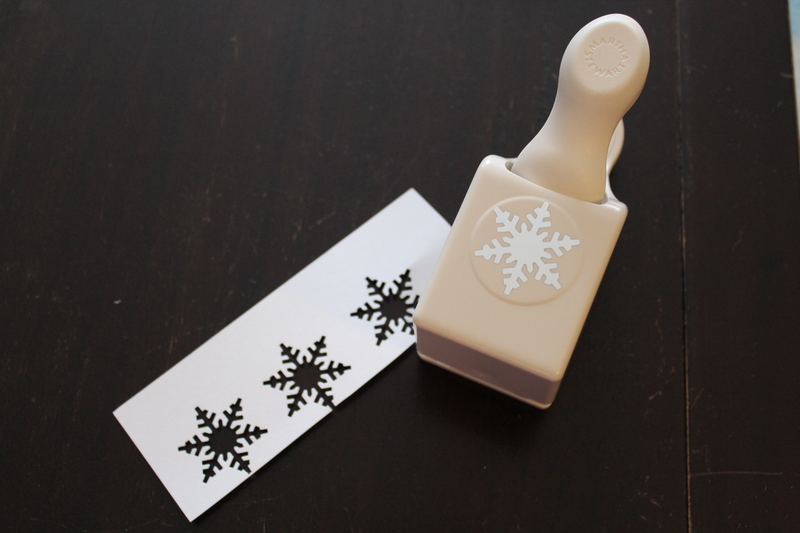 The key was having this handy dandy punch in the shape of a snowflake. I’m not sure if it’s still available because I got it at Michael’s last year around the holidays. I didn’t get a chance to use it until now. 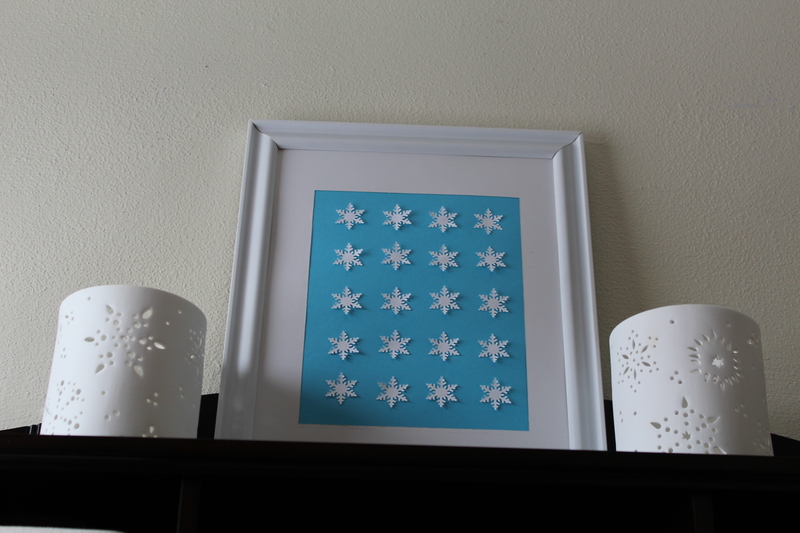 I started by cutting a piece of plain old electric blue scrapbook paper into an 8.5 x 11 piece. I taped it to the back of my framing mat. Next, I punched out a bunch of snowflakes. I liked that the punch gave them each a little curl to make them more 3D. 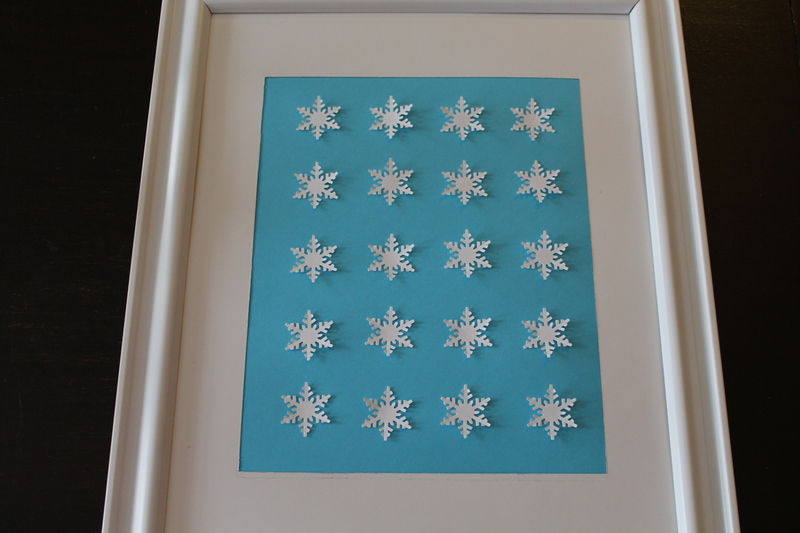 Then, I just arranged the snowflakes until they looked nice. I went for straight rows and columns. Finally, I glued each flake on by the middle, and fluffed each one up a bit. What I got was a cute, cheap winter decoration that will stay up until it’s time to decorate for Valentine’s Day. Good spot if you noticed those are the same hurricanes as from my Winter Brunch tablescape. I thought all the white looked great with the pop of blue.